My recent move back to Florida fell perfectly in line with the beginning of running season. I was able to sign up for Track Shack's "fanatic" which is a series of 6 races throughout the year. The first race on the schedule was the Celebration of Running 5k on Saturday August 13th at 7:30am. 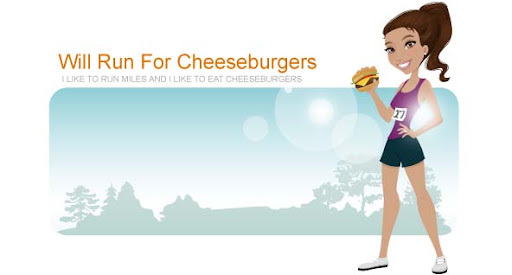 As per race tradition, I had a cheeseburger the night before for dinner. We got take out from East Coast Wings and the burger was not good. Which shouldn't be a surprise since the restaurant specializes in chicken wings! The morning of the race I headed off solo and let Ryan tend to the boys. Although I love having my cheerleaders there it tends to be a circus trying to round them up so early in the morning. My buddy Mike found me at the start of the race and we lined up next to each other. The race was 95% brick roads which made it difficult; at least it wasn't hilly! It was super humid and muggy, but hey that's Florida for ya. I finished in exactly 24 minutes and didn't think I had such a spectacular performance out there. Mike and I took our picture and said our goodbyes. Later on when race results were posted I realized that I had placed 3rd in my age group, 30-34. The prize was a pillow and I couldn't wait to stop by Track Shack to pick it up. It was a great start to racing season in Florida ... Looking forward to the 2nd race of the Fanatic series, Rock n Run 5k on September 17th.